Why Is There No Footage of Nikola Tesla Online? The internet's Nikola Tesla obsession is in full force. There's Tesla fanfic, endless blog posts rediscovering the great inventor, and of course, Matthew Inman's tremendously popular webcomic about the man. But curiously, there's one crucial thing missing: Any digitized film of Tesla. Despite a wave of revisionism that has washed over the internet in recent years, Tesla was actually an incredibly popular figure in his own time. Journalists clamored for interviews, and even in his old age he would grace the cover of major magazines like Time. So where are all the moving pictures? Even though Tesla lived to see the year 1943, there seems to be no footage of the man online. We have written accounts that suggest he appeared in short newsreels in the 1920s and '30s, and at least one account of a film that he helped produce in 1935. But alas, none of this footage has made its way to the big old collective brain we call the internet. In 1935, with the help of newsreel photographers, Tesla designed and produced an electrified extravaganza which he offered to Paramount Pictures. "Paramount said the film came out unusually good, both in respect to pictorial and sound effects," he told George Scherff," but they feel that the subject was too technical." And thus I implore you, dear reader, to make this the internet's next big mission. Sadly, the world has lost so many films to the ravages of time. Film, even when stored properly, will deteriorate. 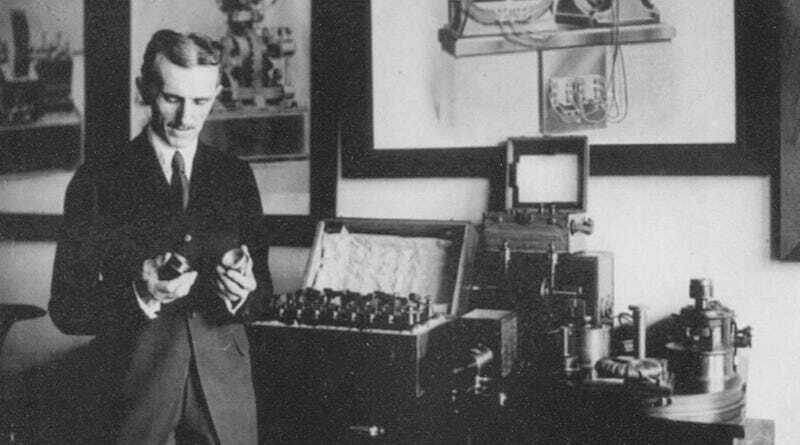 So, if film of Nikola Tesla exists—and of course we hope it still does—then let's make sure it's digitized and preserved for generations to come. It's what Topsy would've wanted.